Okay, well. This one's interesting insofar as it's a new genus for the blog. And it's an actual genus, too, not a mere nothogenus. My photo differs from a lot of the photos of Calanthe rosea on-line; it seems the flower petals are usually a bit flatter, and more elongated (e.g. one, two, three). I think the ID is still correct, because other sources have the flowers looking more like my photo, but they apparently don't always look like this. Maybe don't even usually look like this. 1 Image search was inconclusive. It's been at least seven years now; the memory has faded a bit. Nemesia is at least plausible. 2 I haven't had to work with poinsettias in seven years now, but I honestly still get a little queasy if enough of them are around. Very nice. 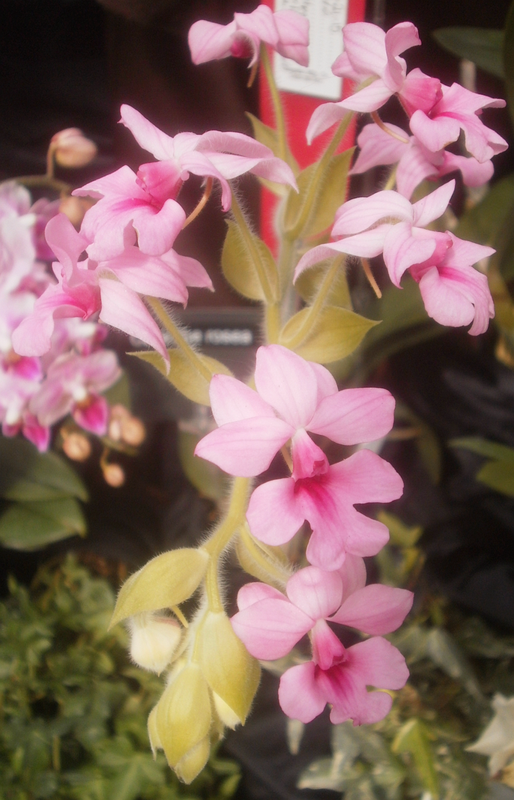 I like Calanthe in general, but I can't grow them for toffee. They just rot on me and it seems cruel of me to keep trying.